Originally an occupational name, ‘Marshall’ also came to denote through time someone who held powerful and trusted royal authority. This meant that some became embroiled in bitter and bloody warfare, while in later centuries others have achieved fame and acclaim through more peaceful endeavours and pursuits that include the stage, music, sport and literature. 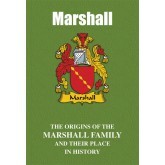 The stirring and colourful saga of the Marshalls, past and present, is related here. ..
A name stemming from an ancient god of war and also that of a popular fourth century saint, ‘Martin’ has been present from the earliest of times. While some of its bearers were prominent on the battlefield, others have stamped their mark on the historical record through their involvement in endeavours and pursuits ranging from political activism to the stage, sport, music and literature. 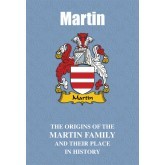 Presented here is the colourful and dramatic tale of the Martins. Martin Family Name .. 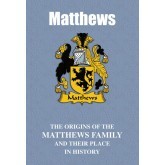 Particularly identified with Wales, ‘Matthews’ nevertheless resonates throughout the historical records of a number of other nations. While some of the name have achieved high honours and distinction through endeavours and pursuits ranging from the law and the sciences to acting and business, one bearer of the name, as we record, laid claim to a decidedly deadly invention. Less deadly, Drummond Hoyle Matthews, born in 1931, was the British marine geologist and ge.. Present from as far back as the sixth century, ‘Middleton’ lends itself to a number of English place names in addition to being the maiden name of Catherine, Duchess of Cambridge, better known as ‘Kate’, wife of Prince William, second in line of succession to the British throne, and the mother of Prince George and Princess Charlotte. Many of the name have achieved high honours and distinction. On American shores, Arthur Middleton is recognised as one of the..
With roots not only in England but also in Scotland, Ireland and Germany, ‘Miller’ is an ancient occupational surname that resonates throughout the pages of the high drama that is recorded history. It is a name that boasts not only winners of the Pulitzer Prize, but also one that figures prominently in the worlds of science, invention and music. The rich and colourful saga of the Millers, past and present, is recounted here. Miller Family Name Mini-Book Excerpt "..
Of ancient origins, ‘Mills’ was popularised in the wake of the Norman Conquest of England in 1066, although it was present here from much earlier times. 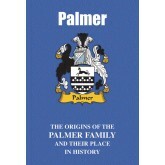 Bearers of the name have achieved fame and distinction through endeavours ranging from astronomy to sport, while it is also the name of a famous British acting dynasty. 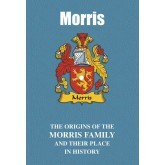 In the world of business, Percy Herbert Mills was the British industrialist and public servant described as “one of the most politically in..
Of ancient roots, ‘Mitchell’ became popularised as a surname throughout the British Isles in the aftermath of the late eleventh century Norman Conquest. Many of the name have gained international fame and acclaim through a diverse range of endeavours and pursuits that include exploration, astronomy, invention and design, diplomacy and the stage. Read here the proud and colourful tale of the Mitchells, both past and present. ..
A name that figures prominently in the pages of the colourful drama that is the historical record, ‘Murray’ has been present from earliest times. Many of the name have gained high honours and distinction through a range of endeavours and pursuits that include as trusted advisers to royalty, on the battlefield, the stage, and in the worlds of publishing, sport, business and music. The stirring tale of the Murrays, both past and present, is recounted here. Murray Family Nam..
A name that stretches back to the original Celtic culture of Wales, ‘Owen’ is redolent of high romance and drama. Many of the name have gained high honours and distinction through a range of endeavours from exploration to the arts, while others have stamped their mark on the historical record as pioneering social reformers. On the high seas Vice Admiral William Owen, born in Manchester in 1174, was the Royal Navy officer who made a number of intrepid and importan..
A name that became popularised throughout England and then much further afield in the wake of the Norman Conquest of 1066, ‘Palmer’ originally denoted a Christian pilgrim or missionary. Far removed from this original calling, others have gained high honours and distinction not only on the field of battle but also in the contemporary worlds of entertainment, sport and a number of other pursuits. In the tumultuous seventeenth century Barbara Palmer, wife of Roger P..
A name with strong Anglo-Saxon connections, ‘Parker’ has been present throughout the British isles since the earliest times. Many of the name have stamped a distinctive mark on the frequently turbulent historical record through endeavours and pursuits ranging from the military to film and music – while two bearers were infamous American outlaws. In contemporary times and on the stage, Sarah Jessica Parker is the multi-award-winning American actress and recipient ..
Bearers of a name that became widespread throughout the British Isles in the aftermath of the Norman Conquest of England in 1066 but with much earlier roots, the Patons and their namesakes the Pattons have stamped an indelible mark on the historical record. While some have gained distinction on the battlefield, most notably George Patton, the famous American general of the Second World War, others have achieved celebrity through a diverse range of endeavours and pursuits rangin..